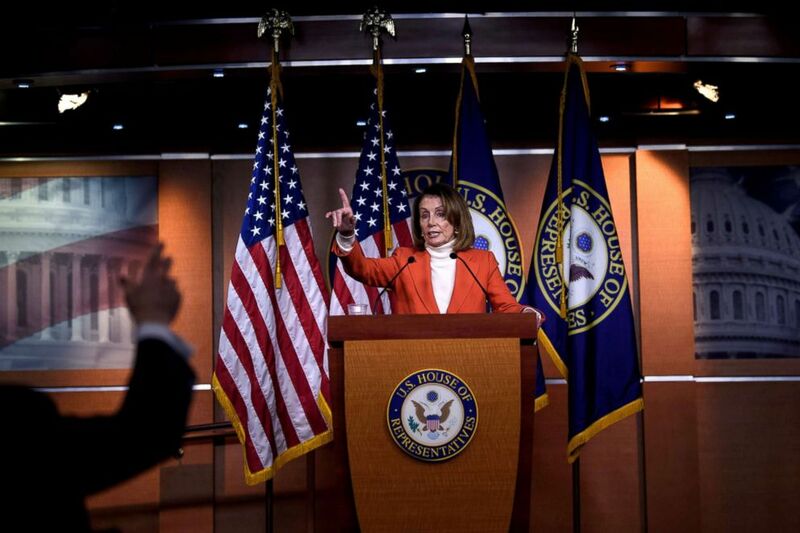 House Minority Leader Nancy Pelosi on Thursday taunted her critics in the House Democratic caucus attempting to block her path to the speakership, daring any would-be candidate to jump into the race and saying she still enjoyed “overwhelming support” to become the next speaker. “Come on in, the water’s warm,” she said in a press conference when asked about her possible challengers. Pelosi, who doesn’t have an opponent in the speaker’s race, must win the support of a majority of Democrats behind closed doors on Nov. 28, and of 218 members on the floor on Jan. 3 to become the next speaker. The number of votes needed on the floor could change, if members vote “present” or do not vote, lowering the threshold. House Minority Leader Nancy Pelosi (D-CA) speaks to reporters on Capitol Hill, Nov. 15, 2018. The California Democrat, who expressed confidence she would win a speaker vote if taken immediately, faces resistance from a small but determined clutch of Democrats and incoming members who have called for new leadership of the caucus and pledged not to vote for her on the campaign trail. At least 17 Democrats have signed on to a letter vowing to vote against Pelosi on the House floor, according to aides and members involved in the effort. Should they stick together or add more to their group, they’d be able to deny Pelosi the votes needed on the House floor. “Have you seen the letter?” Pelosi asked reporters. Pelosi’s opponents say they will release the letter once they obtain at least 20 signatures. They argue that the universe of Democrats willing to oppose Pelosi is greater than 17, but that some have not been willing to sign on to the letter. Pelosi’s allies believe she will be able to convince a number of those critics to support her on the floor, or vote “present,” even if they opposed her in the caucus vote. She’s been meeting and speaking with uncommitted and incoming members all week, along with the various constituencies of the caucus – including the Progressive Caucus and the Congressional Black Caucus, and members of the bipartisan Problem Solvers Caucus who are holding out support for a number of procedural rules changes in the House. On Wednesday night, she hosted a dinner for the freshmen Democrats with top Democrats on several House committees, all of whom support her speaker bid and discussed their agendas with incoming members scrambling to lock down committee assignments. Marcia Fudge, chair of the Democratic National Convention, swings the gavel during the Democratic National Convention (DNC) in Philadelphia, July 26, 2016. 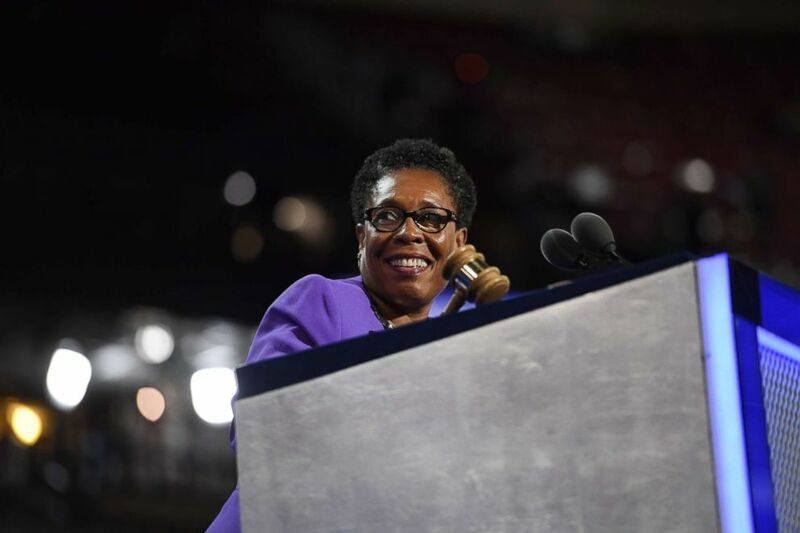 Pelosi’s critics received a boost Wednesday when Rep. Marcia Fudge, D-Ohio, a former chair of the Congressional Black Caucus, said she was considering a bid to challenge Pelosi. On Thursday, Rep. Karen Bass, D-Calif., another potential challenger eyed by the “Never Nancy” Democrats, tweeted that she would support Pelosi for speaker. Pelosi did not appear worried Thursday by the possible challenge from Fudge. “I happen to think, at this point, I’m the best person for this,” she said. Asked whether she thought critics opposing her for speaker might be sexist, Pelosi responded, “You’d have to ask those people what their motivation is. I think of the 17, it’s mostly like 14 men who are on that letter. “You know I’ve never gone to that place,” she continued. “I enjoy a tremendous amount of support from the women in our caucus — from the new members who are women in our caucus — and so I get the upside, I think, of being a woman. You’d have to ask them. “If in fact there is any misogyny involved, it’s their problem, not mine,” she said.